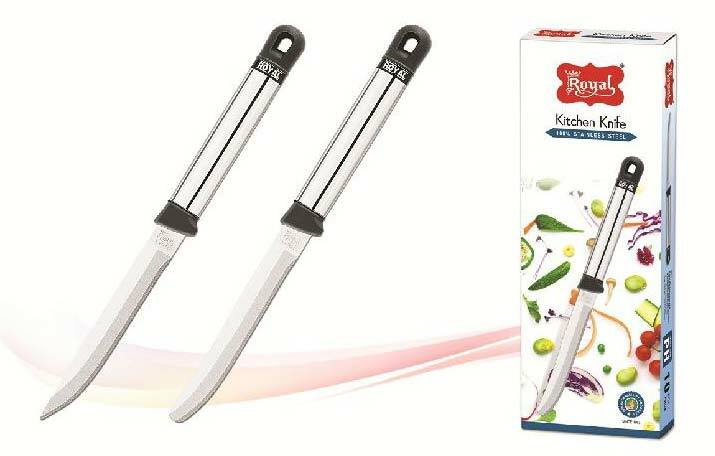 We are a phenomenal Manufacturer, Supplier, and Exporter of Big SS Pipe Handle Knife in Rajkot, Gujarat, India. We design and develop it with a high level of precision. It is made in adherence to the standards and norms laid down by the industry. We have enough capacity to deliver it in bulk quantities, within the promised delivery time. Our offered Big SS Pipe Handle Knife is widely used in big kitchens of various hotels and restaurants, for a large-scale food preparation.